Are you a stakeholder/manager/coordinator/teacher in an Australian Social Enterprise? Do you run programs that have an arts (fashion, dance, visual arts, creative writing, crafts, drama) component? 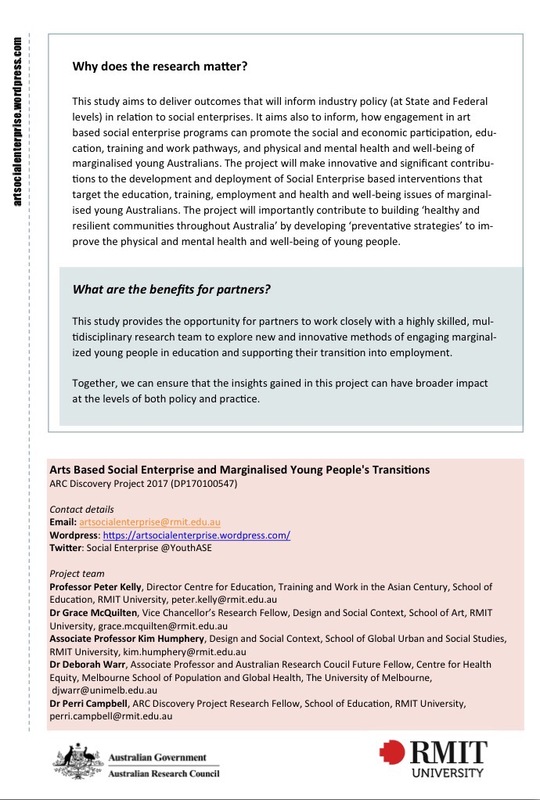 We invite you to participate in our research project funded by the Australian Research Council. Participation will involve a one-on-one interview of approximately 1 hour (or less) in length with a member of the project team (listed in the above flyer). 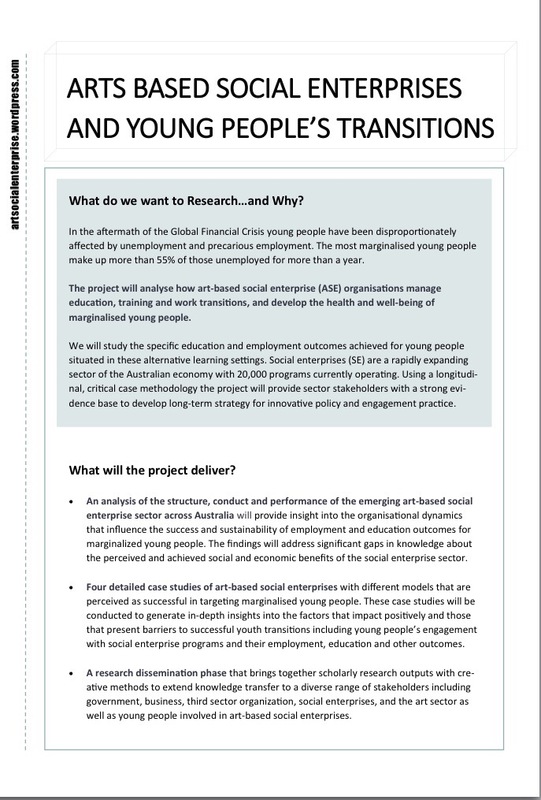 The purpose of the research is to understand how social enterprises engaged in arts activities manage education, training and work transitions, and support the health and well-being of young people.